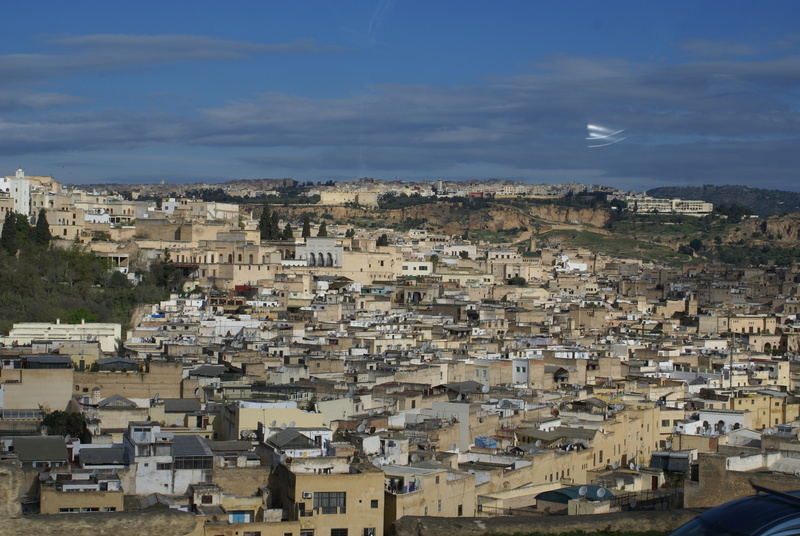 We woke up to a gorgeous morning in Fes – a great opportunity to explore a different city and culture. 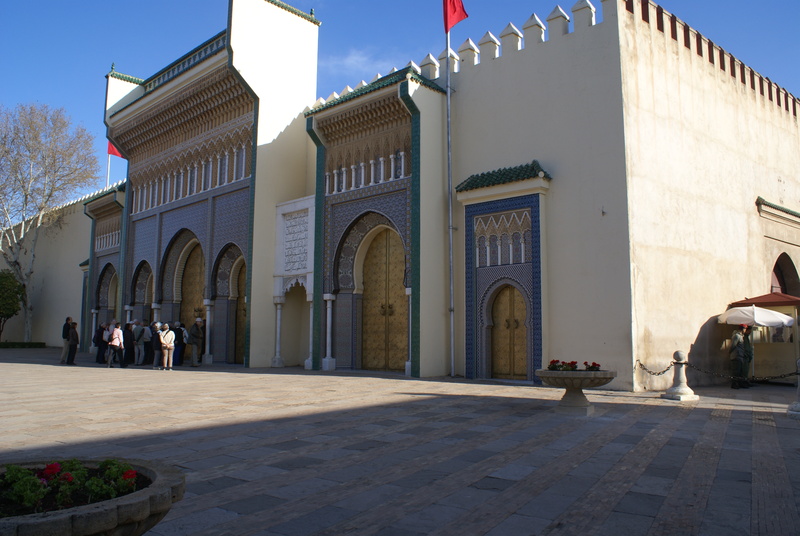 Fes is the center of the Arabic culture and influence in Morocco. We did a quick stop at the Royal Palace, but we could not go in since the King was around. 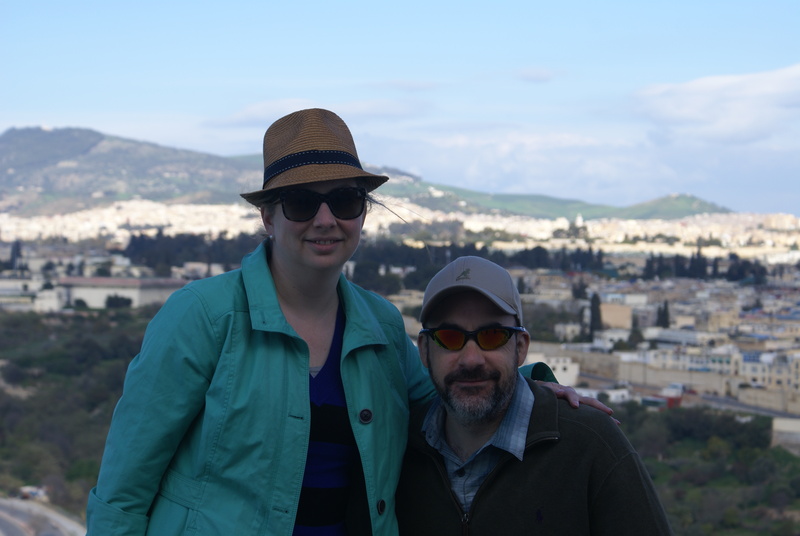 But we did get some nice shots overlooking the old city (Medina). 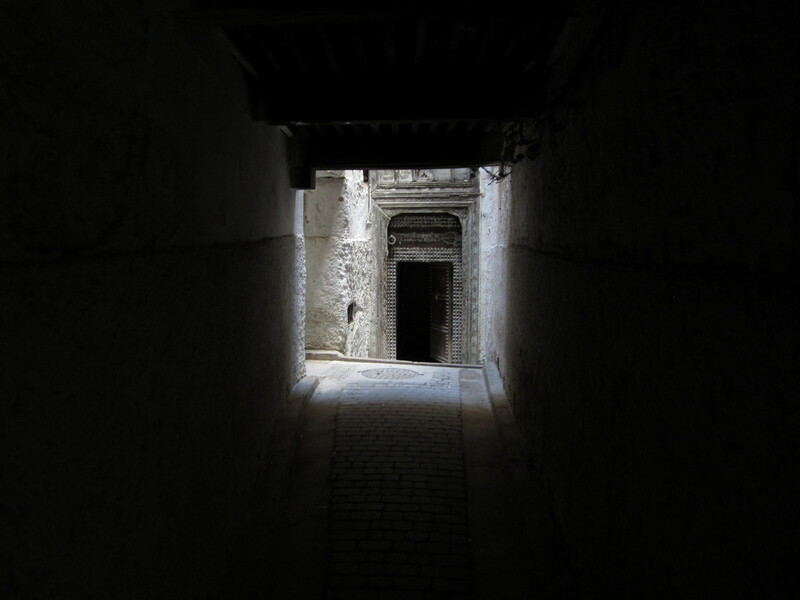 Then we walked into the old city through one of the gates. We looked suspicious so they took our photo before entering. 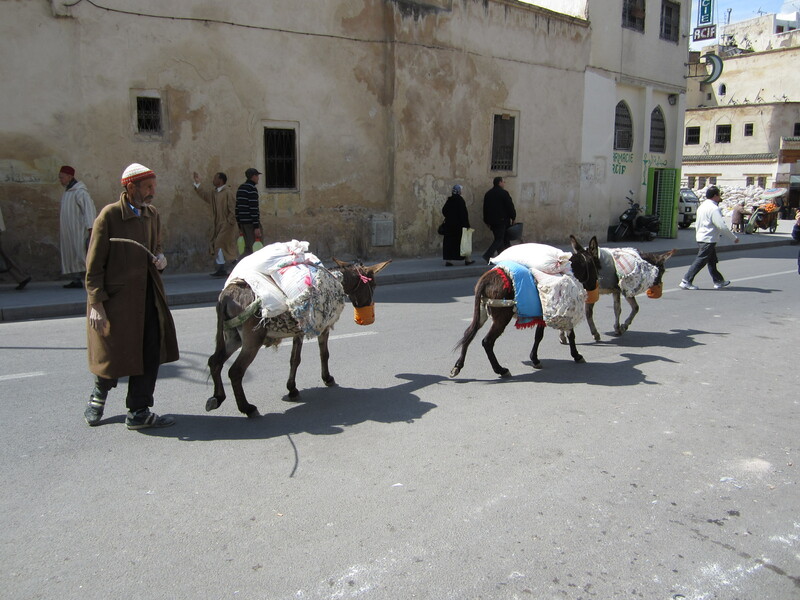 There are no cars allowed or could fit inside the small walkways, so all work and construction is mostly with donkeys. I have to admit, going through all the twists, turns, narrow walkways and pseudo-caves was an incredible experience. 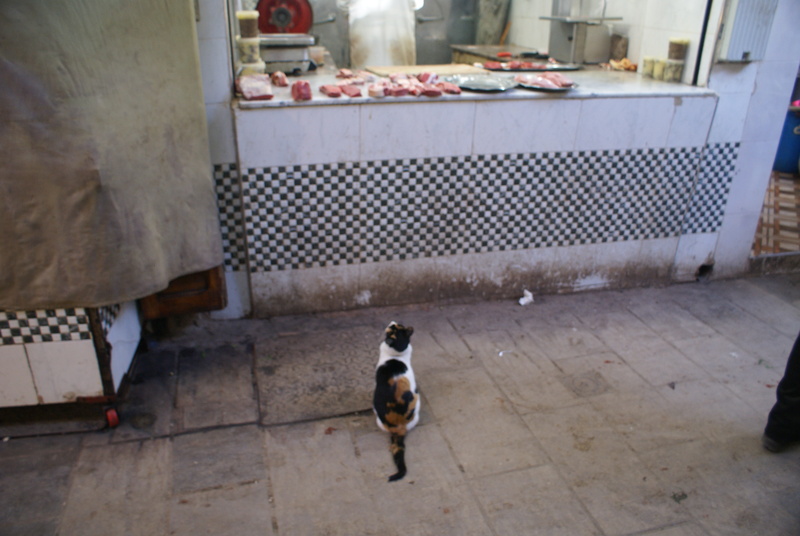 The cats definitely like the old city when the butchers were carving up the cows and lambs for the food market. 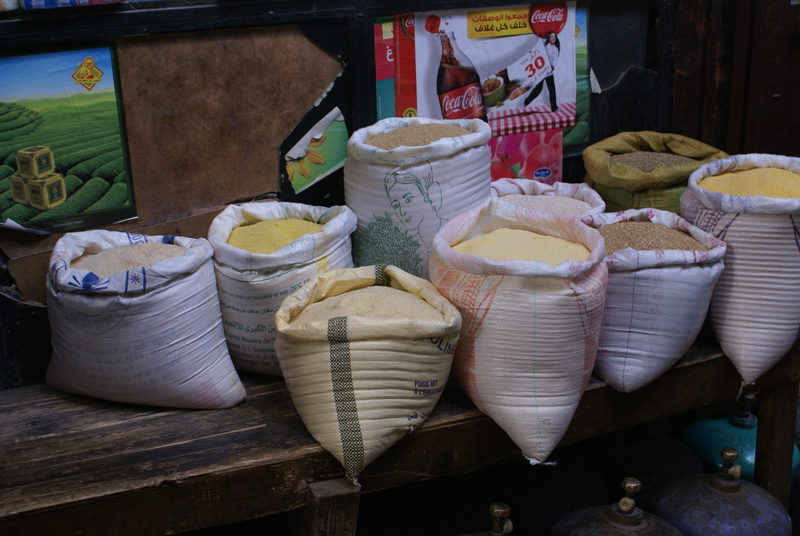 Unfortunately, we decided to be careful and had to resist the strong temptation to buy some of the displayed food, sweets or snacks.